Tail Up Goat, located in Adams Morgan, opened earlier this month. The restaurant offers unique flavors – but also small portions and high prices. 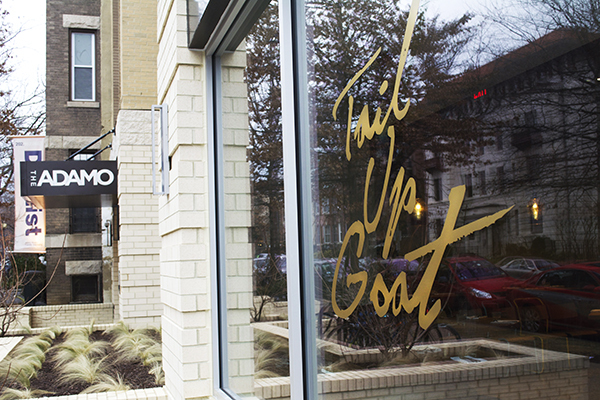 Located at 1827 Adams Mill Rd., about a 15-minute walk from the Woodley Park Metro stop, Tail Up Goat opened earlier this month. The restaurant offers food that is more unique, and more expensive, than your typical college night out. But while I enjoyed three of the four dishes my friend and I had, the tiny portions and ridiculous $60 price tag stopped me from loving Tail Up Goat. Jill Tyler, one of the three owners said that the name of the restaurant comes from a saying that’s used in the Virgin Islands to tell between a goat and a sheep: “Tail up goat. Tail down sheep”. “It’s kind of a fun, whimsical saying and we liked it,” Tyler said, adding that although goat is currently not on the menu, it will be in the future. Entering the restaurant, my friend and I were greeted by sleek, pinewood decor, braided rope “curtains” and a subtle blend of hip-hop and pop music. A single candle basked the warm wood tabletop in a small glow of light. Lime green palette cleansers – something to sip to reduce strong flavors between courses – made of apple cider vinegar with celery herb and sugar in soda water came complimentary with the tap water. With table seating for about 50 people and bar space for a dozen, Tail Up Goat looks like it’s prepared for busy nights. We were one of few people there at 5:30 p.m., but by 6:30 p.m., the restaurant was about half-filled. 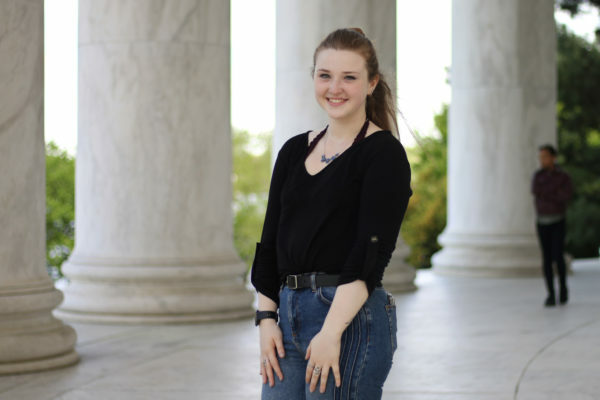 Tyler said that she hopes Tail Up Goat will draw a neighborhood crowd along with people from all over D.C. who want to savor a unique, bread-based menu. The items on the menu are listed from smallest to largest, with the second section specifically for breads. My friend started off with the smoked rutabaga ravioli ($15), while I had the braised carrots ($13). Both of our choices were delightfully sweet. The six-piece ravioli was topped with gingerbread crumbs and came doused in a basil-mint pesto that my friend described as “savory and fresh.” My meal of four large slices of carrots with a subtle herb zest in a honeycomb sauce was mouth-watering, although not very filling. We also ordered a bread appetizer that came out with our entrees. The charred chocolate rye ($14) came served on a stoneware platter with a giant dollop of butter and pickles. The bread was a good mixture of soft and crunchy, even though the chocolate was lost in the mix. As a side dish to the bread, a 6-inch sardine on top of a crusty salt-and-egg dip came on a separate platter. The lifeless sardine eyes disconcerted me, and I couldn’t shake an uneasy feeling after a hairlike rib bone tickled my throat. For dessert, we had the butterscotch budino ($9), a chilled, Italian mousse-like pudding. The delectable budino was served in a bowl barely big enough to fit a softball, topped with a burnt marshmallow, nuts and a blood orange jelly. It wasn’t until the check came that I found out that my friend’s two cups of mint tea cost $6. While I liked the food at Tail Up Goat, the small portions and high prices mean it will be a while before I go back.